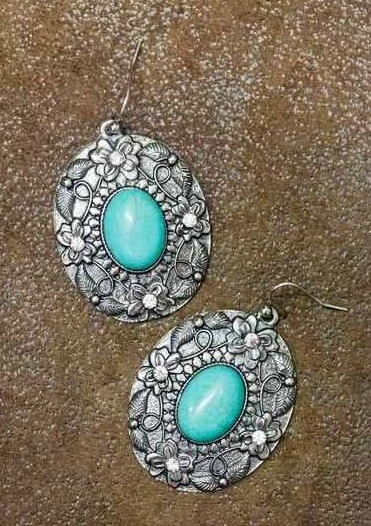 Large concho earrings with colored stone in center. You choose the color the stone. The earrings measure approx. 2.5" long. LOVE the look of these and they aren't REAL heavy.